Not only “masters,” the Carlisle Indians are moneymakers. When it comes to box-office draw, they’re #1 in the nation, taking in $45,ooo at the gate in 1907. (President Roosevelt’s salary is $50K.) Why such a draw? “Footballists” in America want to see how a crew of ingenious Indians from the little Carlisle Indian School are making bigtime changes to the game of football. 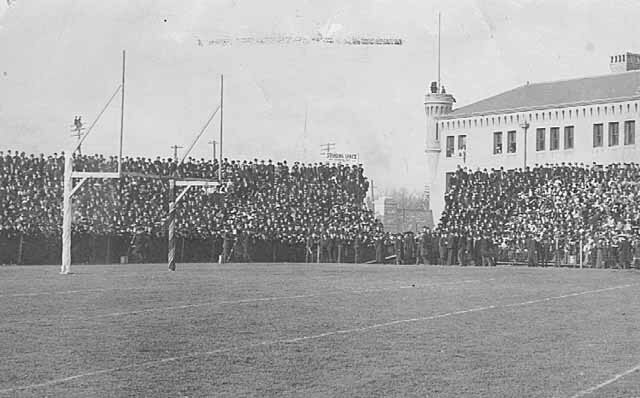 When Carlisle traveled to the Midwest (the “Wild West of Football”) and took on the U. of Minnesota, more than 8,000 fans crammed into Northrup Field (above; look above the left goal post – two guys on a power pole!). The game was a perfect matchup: old-school football vs. new-school football. Minnesota’s two scores came on the ground: a dropkick field goal from 35 yards, and a recovered fumble leading to a 100-yard run. The Indians answered the Gophers’ kicks and runs with dazzling trick plays and the radically new “air attack” of the forward pass. Carlisle’s QB, Frank Mt. Pleasant, faked a predictable dropkick, pulled up and lobbed a pass for a touchdown. Shocking! On another drive they executed a double pass, then struck again when Mt. Pleasant rifled a 35-yard bomb for another TD. Later, there was a price to pay: Mt. Pleasant took a severe hit and damaged his throwing hand. Unfortunately, Mt. Pleasant’s thumb was broken. Their next and last game of the season is against the mighty champs of the Big Ten, the U. of Chicago. 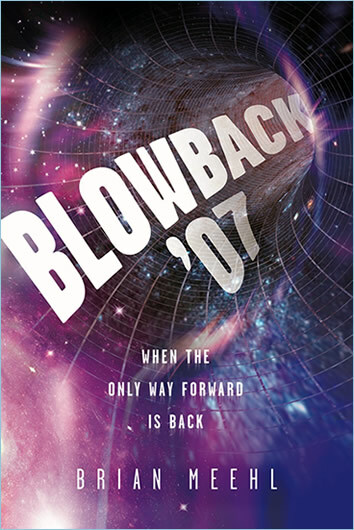 Will the “masters of the new football” crash and burn, or soar again?